Happy Self Published Saturday! I’m so excited to share this book with you, that I spent the past week speed reading it so I could talk about it STAT – it’s quite a long book, and so full of incredible… well, everything… that I didn’t want to wait until next week. Someday I’ll Be Redeemed is the first in the Chronicles of Lorrek series, set in a high/epic fantasy universe and infused with science fiction and technology. It’s full of political intrigue, plots, and magic, along with characters so complex they’ll have your head spinning. By the end of it, you’ll be devastated – and yes, that’s a good thing. Everyone thinks him to be dead–or guilty. Without a word or sighting of Prince Lorrek of Cuskelom these last ten years, all believe the rumors of his crimes, which he is said to have committed, are true. However, when he finally returns to clear his name, Lorrek realizes the only way to find redemption is to become the very man they think him to be in this time when advanced technology challenges ancient magic to war. Lorrek’s been dead for a decade – only he hasn’t. When he appears at the gates of a neighboring kingdom, begging for sanctuary, he begins a chain of events that put the realms on the brink of war… but what really happened, ten years ago, that shattered the kingdoms? I have to admit, at first, I was struggling to get into this book: the political back and forth is not usually my cup of tea, and took a little while for me to follow. The effort in world building here is outstanding, but the author has a lot to tell in so short of time that I felt overwhelmed by the information. But as soon as the ball is rolling, the story gets faster and more exciting, to the point where you cannot put it down. This is especially true in the second half of the book, which takes place back before the events that sent Lorrek into Oblivion. Here, we have medieval fantasy characters coming to a realm of technological innovation in search of a cure for Lorrek’s cousin (and subsequent lookalike) whose magic has been infecting him. But no-one’s motives are as they seem, and there’s a lot more going on than anyone can realize… this for me was an outstanding portion of the book, and it had me completely engrossed. And the ending? I have no words. Ok, maybe one – WOW. Which is not to say I wasn’t impressed with the rest of the novel – the first half lays the groundwork, filling you with so many questions, while the second answers them, in such a way that you can’t help but notice just how intricate the plot really is. Everything is connected. And the way the characters grow and change in those ten years? Incredible writing. Speaking of the characters, I just love them. Vix is by far my favorite: a brilliant assassin, who can be hard and cold but also adorable and romantic. There’s a depth to her you hardly ever see in fantasy women. Even the villains aren’t 100% evil – we see their motivations, we even root for them at moments. Stylistically, the author could have done with a little less repetition: sometimes a sentence would pull me out of the story, which got a little annoying. But no matter. The story is what counts, and Blanchard has crafted a complex narrative with brilliant world building and relatable characters. I just can’t wait for the sequel! You can purchase Someday I’ll Be Redeemed here on amazon, in ebook and paperback. Don’t forget to check out the sequel, I Still Have A Soul! It’s Self Published saturday! Today, we’ve got an awesome scifi novel from Indie Author Indigo Voyager: The God Virus. What a fascinating novel: pure science fiction at every level. I can’t think of a novel that works its way through every consequence of a premise like this one does. It’s so detailed, complex, and has fantastic characters you’ll love to follow. Infected by a DNA-altering virus, Derek and Alessandra develop strange and unnerving superpowers that challenge everything they thought they knew about the world ― allowing them to amass a fortune. As they fall in love, they battle ruthless criminal mobs bent on harvesting the virus from their brains and intelligence agencies that try to enslave them. After Allie contracts these same changes from him, the two of them are suddenly the only two people of their kind, and they’re hunted by everyone who wants to get their hands on this human enhancing ‘drug’. No one is safe: not Derek or Allie, nor their families, their friends… as the two fall in love with each other, they must fight the mob and angry governments in order to keep themselves, and everyone they love, safe from harm. I can’t decide what I liked best about this book. As a scifi nerd, I absolutely the science behind it all. There was just so much in this book, and small, real sources and facts to back it all up. Do you remember the movie ‘Lucy’? This is how that movie could have succeeded. Humans outgrowing their humanity and becoming something more: backed by (somewhat feasible) science, and a thrilling plot that has you caring for them all the way through, urging them to succeed. What marked me was, even as Derek and Allie stop being human, they never lose their humanity. They care so much about their families. This determination not only to care for their own, but to make the world a better place along the way, makes them incredibly likable. As they grow into their new abilities, they’re supportive of each other, and work through the hard times together. It makes them both relatable and lovable. Surprisingly, all the ‘background’ characters have so much depth as well. From the mobster grandfather to the Hawaiian boyfriend, everyone has an intricate story to tell. When they were in trouble, you want to save them as quick as possible; while, when they were happy, you feel energized and excited for them. The novel also deals with questions such as parallel universes and timelines; building and creating a society or civilization; making big bucks with stocks; Souls and Spirit Realms; and the Russian mob, too. As you can tell, there’s a whole lot going on! All in all, if you need a good, complex science fiction novel, then you’re going to want to read The God Virus. It’s a fantastic, thrilling story which is incredibly memorable. Scifi fans everywhere are going to want to read more! 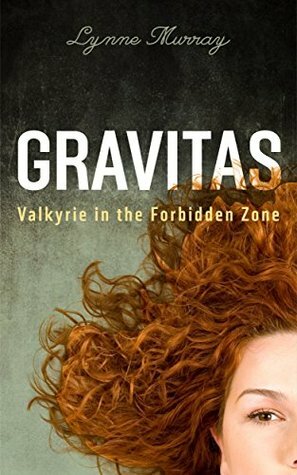 This month, I’ve had the pleasure of reading Gravitas: Valkyrie in the Forbidden Zone, an amazingly fun science fiction novel full of powerful women, angry warriors, and humans who’ll believe just about anything you tell them too. Fast paced and clever beyond belief, this book will have you wishing for more, begging for great science fiction novels like this one to fill your afternoons. Sybil, from Planet Valkyrie, carries a risky amount of Gravitas, a top secret aphrodisiac, to trade at a conference on ending slavery in her sector of the galaxy. Attacked by an angry warrior from slave-holding Planet Roggr, Sybil falls through an unmarked portal to land on Earth. The Forbidden Zone. Rescue is impossible. Portals to Earth are sealed. Sybil needs to defend herself, protect her hazardous cargo, and find a way home–while dealing with a damaging overdose of Gravitas. In a remarkably unique take on the “Lost on Earth” scenario, we follow Sybil, a diplomat from Walkyrie, accidentally stuck on earth with no way home, and it’s more than just a phone call away. Earth is in the forbidden zone, a planet that she should never be allowed to even get near to, after all those alien races came and influenced ours to worship them. To make matters worse, she’s carrying a very strong aphrodisiac in a necklace around her neck, and it’s driving her insane; she’s got her personal demons on call, and they have a lot to say; her long lost husband – the first one, while her three others are safe at home – has just reappeared in her life, and seems to know a whole lot about earth culture; and she’s being stalked but a lustful, obsessed warrior. To top it all off, Earth people don’t seem to take too kindly to big, powerful women. Sybil must navigate this strange planet, while avoiding getting stuck in the middle of feuding warriors, in order to get back home safely. I think what really got me loving this novel was how the unusual plot just worked so well. All the elements mesh together in a tapestry of creative storytelling: starting off in media res with an exciting, somewhat confusing beginning, which allows you to get your bearings in this new book just as Sybill does on this new planet, then moving backwards to understand where this woman has just come from, then moving forward again while keeping certain elements hidden until later, the author manages to keep you gripped in the story by keeping everything quickly paced, and by making you care about the characters she has created. Sybill is a powerful woman: there is no doubt about that. She comes from a Matriarchal society, has three husbands (not including the ex), can carry vast amounts of Gravitas, is well respected and given important responsibilities. Not to mention she is gorgeous: though Walkyrie tends to favor the larger woman, and, sadly enough, that doesn’t translate well to earth. She is strong, smart, and can hold her own in any situation. Not to mention she even manages to empower women on earth, though I will not spoil anything. I found Sybil wonderfully written, relatable even though she is alien. The premise us unusual, the characters uncommon; it’s fun, it’s funny, with great moments which hit the science fiction high note. It was good to laugh so much. I think my favorite aspect of this novel was the way the author incorporated alien tourism into world religions. It was incredibly funny to see how certain alien races, alien mannerisms, physical appearance, names, and multiple appendages could have influenced the birth of many religions around the world. Cultural heritage and practices somehow evolving from interaction with beings from another world? Something you hear a lot about in “Ancient Aliens,” maybe, but never tackled with such fun. It was clever to have THAT be the reason that aliens do not visit us anymore: humans are TOO kind, too prone to manipulation, even if it is accidental. Loved it. The ending I found spot on; I wouldn’t have had it any other way. It was a beautifully written scene. I don’t want to say much here, seeing as how I don’t want to spoil it, but it had me close the book with a smile on my face. So if you’re looking for some fantastic science fiction, the classic great premise but with a modern, fresh take, you are going to absolutely love Gravitas. You can find it on Amazon, in epub and in paperback. When I picked up this book, I admittedly had no idea what to expect. But I was quickly hooked: Science Fiction AND magic? I’m being spoiled here! 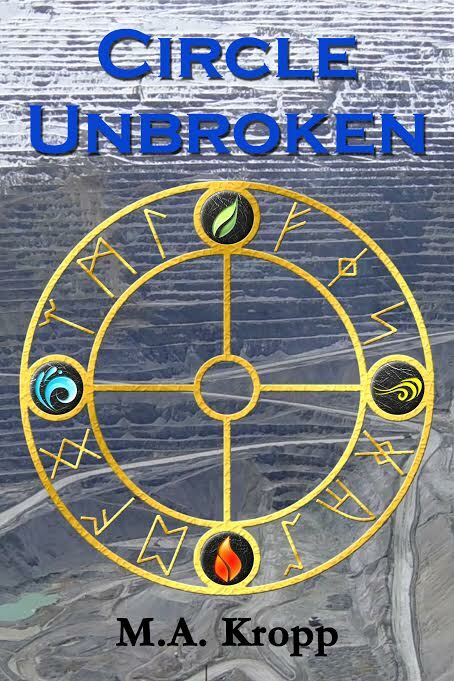 Circle Unbroken is an awesome mix of two genres, masterfully woven together into a strong story. Intrigue, plots, and schemes? Sign me up! When your family runs the mining operation on a planet that supplies a long-depleted Earth with needed resources, there are bound to be those who would like to see you fail After five years away with the Interstellar Security Corps, Kaili is coming home after the death of her grandmother as a key participant in the ceremony to install her sister as head of the company and the ruling planetary council. She and her partner land in the middle of old resentments and new threats. I really loved bringing magic into the mix of a science-fiction driven universe. It somehow doesn’t seem out of place: we know little about where these abilities come from, just as the characters still haven’t solved this mystery. Jeff, the captain of the Slingshot and Kaili’s ISC partner, is awkward in a magic-driven society, but he doesn’t write it off as hocus-pocus when he sees what people can do. And for the people of Geb, living with magic on the one hand and a thriving mining industry on the other is just everyday life for them. It was interesting to see what an advanced, space faring civilization could do with magic on their side. Kaili is caught between two worlds, the world she was brought up in, with magic and ceremonies, and the world she has chosen to live in, the world of the ISC, where things are driven by technology and work. She’s smart and determined, even working on scientific research to try and figure out why the psi abilities of her planet will not work in hyperspace. Even when worse comes to worst, she keeps her head up and doesn’t stop fighting. A great protagonist in this universe. I did really like the characters: Jeff and his space-captain attitude, Humfrid and his cheerful fatherly demeanor. The mystery revolving around who could be trying to sabotage the ceremony makes you watch everyone incredibly intently, and the depth that was shown demonstrated the author’s fantastic writing skills. The mystery itself is slow growing – is there a plot, or are they paranoid? Who is involved if it is? I honestly did not see the ending coming, or at least, I didn’t see the full scope of it until very late. It was a great amount of suspense. However, with the story revolving around this slow mystery, it made the plot a little slow itself. I was wondering when some great incident would come rippling through their lives, and was surprised then there wasn’t some huge intergalactic event. Not to say that the mystery wasn’t compelling, only that it threw the pacing a little off. Circle Unbroken is a fun and enjoyable book, set in a universe I’d quite like to see more of. Hopefully we’ll get to hear more from Kaili and Jeff in the future! The novel is set to come out on August 18th, but the author is hosting a pre-sale event: if you purchase the novel anytime between August 2nd and 17th, you will receive a free download of TWO other books by the same author! Find it on Smashwords. Enjoy!